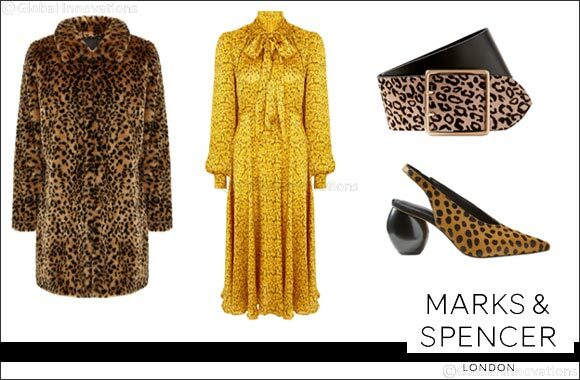 Dubai, UAE, November 06, 2018: Run with the fashion pack this season by indulging your primal instincts in the animal print trend with Marks & Spencer. You’ll find spots on everything, from stylish long dresses to versatile heels equipped with innovative Insolia® technology, allowing you to wear your heels comfortably all day long. The muted tone and gathered cuffs make for the perfect piece that is sure to flatter. Wear the print head to toe for the fiercest look. The collection is available in-stores and online at marksandspencerme.com.